Metal Slug is one of the distinguishing marks of the SNK studio and the console and arcade machines from NeoGeo, the Rolls Royce of gaming from a couple decades ago. SNK Playmore continues to scrape life out of those games with reedits of its classics or reinventions that take advantage of the available resources. 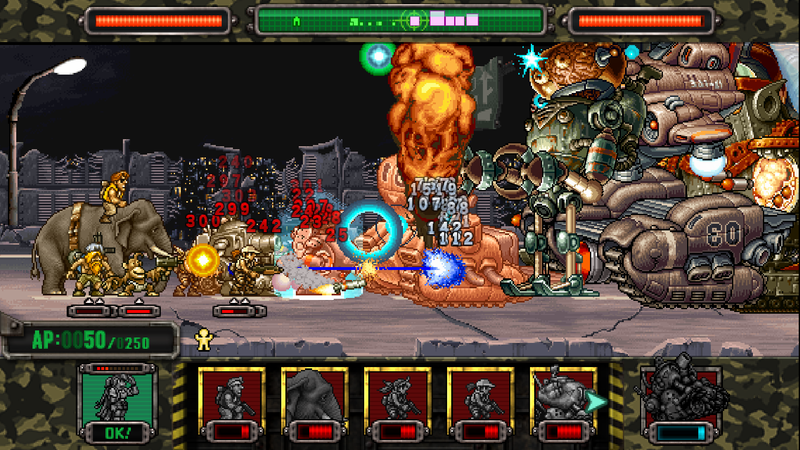 From the latter strategy Metal Slug Defense was born as a full-regalia lateral scroll tower defense that’s had enormous success over the past year. 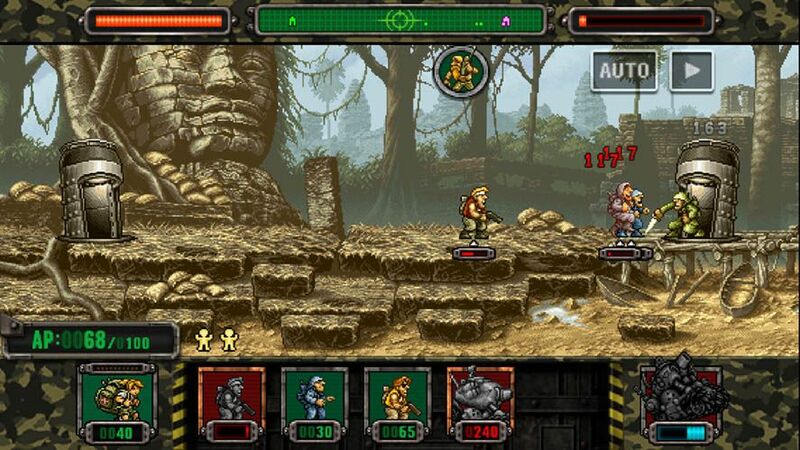 Now its sequel, Metal Slug Attack, has just been launched to bring back the gameplay of its antecessor and add new challenges and game modes. The game’s basic premise is to send troops to the battlefront, which after defeating enemies will supply resources to maintain the production of units. The grace of the matter is that both the characters and the graphics use all the imagery from the saga, composed of 10 original installments in addition to the number of remakes put out for other machines. As this May will mark the 20th anniversary of the release of the first Metal Slug, all this also passes as an homage. The depth of the game is enormous. In the first part there were more than 200 settings and 200 characters in total, including the stellar appearance of characters from other games from the studio like The King of Fighters. All this is linked together in story mode with different worlds to beat and loads of menus to improve your troops and skills, management of custom “decks,” combat unions against bosses with special rules, and even an online versus mode. Completely crazy that in this sequel there’s even more madness. The game still has not been officially released in many countries, but it can be downloaded and installed on any device with Android 4.1 or higher using its APK file, which is already available on Uptodown.